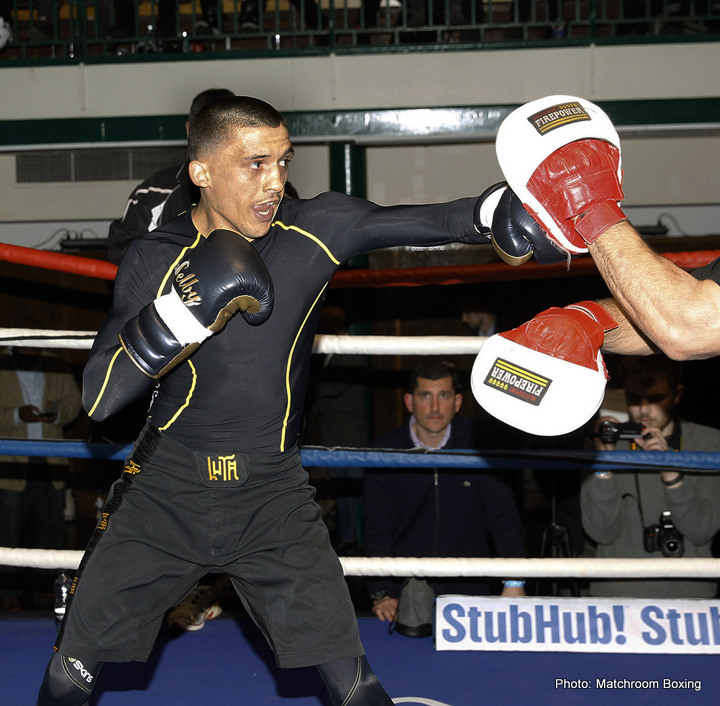 Boxing promoter Eddie Hearn has just announced another big world title fight: Lee Selby, the reigning IBF featherweight champion, will defend against Philadelphia’s Eric Hunter in the UK this Spring. Hearn, talking to BBC Wales, said the fight will definitely take place in the UK, it is just a matter of the fight going ahead in either London, when the date would be April 9th, or Cardiff, when the likely date would be some time in May. 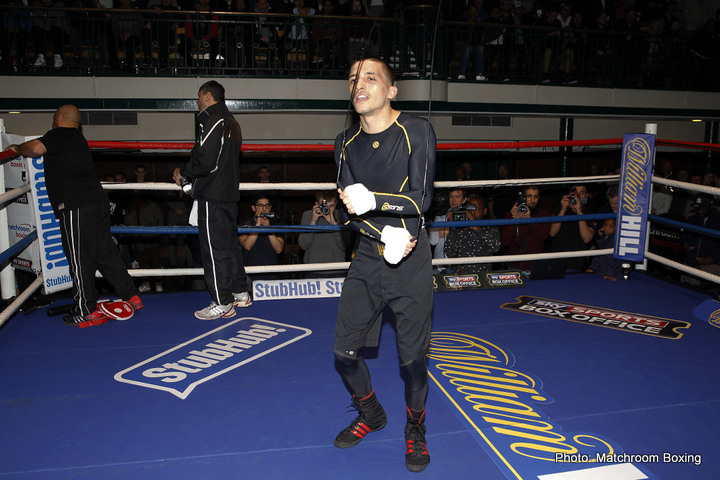 Either way, Selby-Hunter is a good fight, arguably the biggest test yet for the classy 29-year-old Welshman. Selby, 22-1(8) won the title with an 8th-round TD against Evgeny Gradovich in May of last year and he has retained the belt once, winning a 12-round UD over Fernando Montiel. 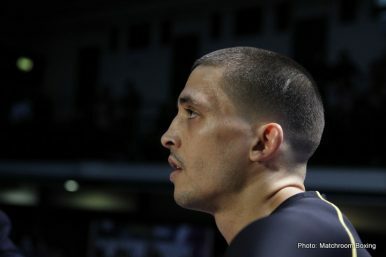 The Montiel fight took place in Arizona but now “The Welsh Mayweather,” as Selby has been dubbed by some, gets ready to defend once again at home; or maybe in London. If it is April 9th, Selby-Hunter will be a huge addition to the already sold-out Anthony Joshua-Charles Martin card (which will be a Box Office event on Sky Sports in the UK) and if this is the case, the supporting bout could well prove a better fight than the main event that night. Hunter, 21-3(11) and the same age as Selby at 29, has been eyeing the Welshman since he won the IBF belt. Hunter has been DQ’d twice during his career (once for low blows against Luis Franco, the other time, against Mike Oliver, when Oliver, getting up from a slip, was hit with a speedy punch by Hunter; who claims Oliver then “faked” being knocked out) but there is no denying his talent. A fine amateur, who has won the USBA featherweight title, Hunter is hungry for a world title shot and has been for some time. 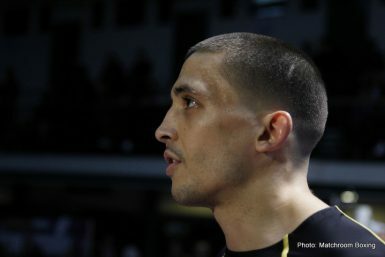 Selby will no doubt be the favourite, with the fight to take place in the UK, but Hunter will be coming with everything he has and, providing he can keep his cool, “The Outlaw” could well give Selby (himself beaten only on points in his fifth pro outing way back in 2009) his toughest career fight.